Weekly Climate and Energy News Roundup – The Right Climate Stuff | Watts Up With That? TRCS: Without question, one of the most spectacular scientific accomplishments of the 20th century was the Apollo landing of humans on the moon and their return. The mission required exhaustive testing of the concepts, models, and equipment against all appropriate data. If the data did not exist, it had to be compiled. Last year, some retired members of the Apollo team, and others, formed The Right Climate Stuff (TRCS) research team, volunteering to apply their skills to examine the scientific basis of the claim that human emissions of carbon dioxide (CO2) are causing dangerous global warming and/or climate change, which they term as Carbon-based Anthropogenic Global Warming (AGW). Last week, TRCS team issued their findings: “Anthropogenic Global Warming Science Assessment Report.” This clearly-written 21 page assessment states that the empirical evidence of Carbon-based AGW is sorely lacking. · Carbon-based AGW is not settled. · Natural processes dominate climate change (although many are poorly understood). · Carbon-based AGW impact appears to be muted. · Empirical evidence for Carbon-based AGW does not support catastrophe. · The threat of net harmful total global warming, if any, is not immediate and thus does not require swift corrective action. · The US Government is over-reacting to concerns about AGW. The report sharply differs from the 1100-plus page Draft National Climate Assessment issued by the U.S. Global Change Research Program (USGCRP), which is heavy on computer-driven speculation, but exceedingly light on physical evidence on Carbon-based AGW. Also, TRCS report illustrates that some of the threats exaggerated in the USGCRP report are without a scientific basis. For example, in the treatment of sea level rise, the USGCRP report projects, that due to uncertainty in the models, 21st century sea level rise will be anywhere between 7 inches to up to 4 feet, and even up to 6 feet. The TRCS report states that rapid sea level rise can only come from extreme melting of ice on Greenland and on Antarctica and such a melting would require centuries, not decades. The Northern Hemisphere is warming, and ice melt in Greenland needs monitoring. However, the TRCS report finds the 20th century warming to be in the range of natural variability. Further, suggesting that Antarctica will significantly contribute to sea level rise requires an ignorance of the extremely cold climate of Antarctica and its geology (the land mass is bowl-shaped). Thus there is no reason to assume a 21st century sea level rise to be significantly greater than 20th century rise – about 7 inches. Among examples of US government over-reaction concerning AGW, the report finds the EPA’s determination that CO2 is a pollutant that must be controlled to be scientifically embarrassing. The report recommends that models be validated before used in critical decision-making, which has not been done for climate models, and it is unlikely to be done. The report states that the natural climate-change mechanisms must be successfully modeled before we can hope to successfully model the earth surface temperature response to CO2 emissions. 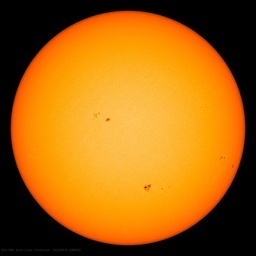 The Climate Establishment has ignored natural mechanisms other than changes in solar irradiance (daylight). CATO Report: The Center for the Study of Science of the CATO Institute issued a lengthy, detailed critique of the USGCRP report by a team headed by Patrick Michaels. The CATO report finds many major errors and misleading statements in the USGCRP report. It will be interesting to see if the USGCRP corrects these errors and misleading statements. If it does not, perhaps its entire budget should be sequestered. Projections v. Reality: On his blog, Roy Spencer presents a comparison of the lower atmospheric temperature trends as projected from 44 climate models and as calculated from satellite observations. John Christy provided the model projections. Spencer used the both the University of Alabama, Huntsville (UAH) and the Remote Sensing Systems (RSS) calculations. The disparity is striking. Since the greenhouse effect takes place in the lower atmosphere, this is further evidence that the planet is not as sensitive carbon dioxide emissions as advocated by the UN Intergovernmental Panel on Climate Change (IPCC). The Easterbrook Affair: In March, Don Easterbrook, professor emeritus of geology at Western Washington University, presented his views on global warming/climate change to a committee of the Washington State Senate. In an editorial in a local newspaper, the active faculty of the Geology Department claimed Easterbrook’s views are not scientifically valid and not supported by the overwhelming evidence on the topic. They termed Easterbrook assertions to be poor-quality science. Easterbrook has answered the challenge. You be the judge. In addition, astrophysicist Gordon Fulks proposed a seminar on climate science at WWU. The geology department backed away with one professor admitting insufficient knowledge in the subject to debate. Please see links under Easterbrook Affair. Back to Court: On Friday, The Southeastern Legal Foundation filed a Petition for Writ of Certiorari requesting the Supreme Court hear the case concerning the EPA’s finding that greenhouse gases (carbon dioxide included) endanger human health and welfare. The US Court of Appeals for the District of Columbia Circuit found against the petitioners. The petitioners include members of Congress, private corporations, associations, CEI, FreedomWorks, and SEPP. The Supreme Court accepts very few of these Writs and it is impossible to predict if it will accept this one. However, it is only on the Supreme Court level that we can have any hope of breaking the lock Federal Agencies have in the Appeals Courts on what constitutes science. Please see link under Litigation Issues. Carbon Dioxide Emissions: The International Energy Agency (IEA) reports that there has been virtually no drop in carbon dioxide emissions per unit of energy produced around the world during the period from 1990 to 2010. This is in spite of billions of dollars spent for subsides on alternative energy sources such as wind and solar. The report brings up the contrived goal of preventing a rise in temperatures of 2 deg C from the start of the industrial revolution (which coincided with the latter part of the Little Ice Age). By their actions, or non-actions, most countries appear to be indifferent to this contrived goal and have more important considerations. The report urges governments to do more in subsidizing unreliable alternative energy sources and employing Carbon Capture and Storage (CCS), a technology which has never been demonstrated to be commercially reliable or viable. Similar to the World Bank, IEA is no longer a dispassionate reporter of facts, but a climate alarmist, advocacy organization. Complicating matters, the EU Parliament voted to prevent the suspension of a scheduled carbon emissions permit auction. Prices of carbon emissions permits plunged, causing considerable consternation among supporters of carbon trading schemes. Please see links under Questioning Green Elsewhere, Expanding the Orthodoxy, and Article # 2. Natural Gas: The US spot price for natural gas at the important Henry Hub has increased from low last spring below $2 per million BTU (MMBtu) to above $4 MMBtu this week. The increase is not entirely unexpected because the 2012 price was below production costs, as can be witnessed by the rapid shift of rigs from drilling for natural gas to drilling for oil. According to the EIA, there are 1771 active rigs as of April 12, with only 21% of the total drilling for natural gas. Of the total rigs, 62% are engaged in horizontal drilling, which was largely unknown a decade ago. EIA projections of future prices vary greatly, in part because they depend on projections of economic growth rates and expected rates of resource recovery from natural gas wells. The technology is not sufficiently mature to permit estimating resource recovery with any degree of confidence. The increase in natural gas prices has resulted in a decline in the generation of electricity from natural gas. As expected, the proponents of coal and renewable point to the price volatility as a reason why natural gas is an inferior fuel for generating electricity. What they ignore is that spot prices are often not the basis for costs, but long-term contracts are. Additionally, since both coal and natural gas generate reliable electricity, a competition between the fuels tends to lower the costs to the consumer. Those who use the natural gas spot variability to promote wind and solar are saying, in essence, the cost volatility justifies electricity unreliability. Bureaucrats who make the claim are saying that consumers prefer high cost-price stability to electricity reliability. The assertion is doubtful. Please see links under Energy Issues – US and Return of King Coal?, and http://www.eia.gov/naturalgas/weekly/#tabs-rigs-2. EPA and Health: EPA repeatedly asserts increased regulation of coal-fired power plants will deliver enormous health benefits, including reduction in asthma attacks, the causes of which are not clear. In Investor’s Business Daily, senior writer John Merline states that a group of six major categories of air pollutants have fallen 62% since 1990. Yet, according to a September 2012 report of the American Lung Association, a great supporter and beneficiary of the EPA, the number of people suffering from asthma in the US continues to grow. Clearly, there is something wrong with the EPA health-benefit models. Also, the EPA does not consider the possible harm it causes by increasing the cost of electricity, and effectively prohibiting replacement of old coal-fired plants with modern plants that greatly increase energy efficiency and significantly reduce pollutants. Please see links under EPA and other Regulators on the March, Return of King Coal?, and http://www.lung.org/finding-cures/our-research/trend-reports/asthma-trend-report.pdf. Antarctic Ice: Two new reports on findings from Antarctic ice cores came out this week, causing some confusion and significant blaring among alarmists about sea level rise. One paper examined 18 ice cores of the West Antarctic Ice Sheet. It found that: “Changes in atmospheric circulation over the past five decades have enhanced the wind-driven inflow of warm ocean water onto the Antarctic continental shelf, where it melts ice shelves from below. Atmospheric circulation changes have also caused rapid warming over the West Antarctic Ice Sheet, and contributed to declining sea-ice cover in the adjacent Amundsen–Bellingshausen seas. It is unknown whether these changes are part of a longer-term trend.” The current thinning is within what has occurred at different times in the past 2,000 years. Number of the Week: 18 to 1. As expressed immediately above, 18 ice cores of the West Antarctic Ice Sheet showed nothing beyond what has occurred in the past 2,000 years. One problematic ice core from James Ross Island ice shows melt beyond what occurred in the past 1,000 years. The effects of global warming will persist for hundreds of years. What are our responsibilities and duties today to help safeguard the distant future? That is the question ethicists are now asking. Is the Great Climate Alarm Winding Down? It’s insane that we’re fleeced by the energy giants AND help them avoid tax! Numeracy in Climate Discussions – how long will it take to get a 6 deg. C rise in temperature? Link to paper: Vulnerability of terrestrial island vertebrates to projected sea-level rise. Simulations identify past megadroughts, but at wrong times. Reference: Lindeboom, W., Alam, N., Begum, D. and Streatfield, P.K. 2012. The association of meteorological factors and mortality in rural Bangladesh, 1983-2009. Global Health Action 5: 61-73. Reference: Aberle, N., Bauer, B., Lewandowska, A., Gaedke, U. and Sommer, U. 2012. Warming induces shifts in microzooplankton phenology and reduces time-lags between phytoplankton and protozoan production. Marine Biology 159: 2441-2453. Reference: Ray, S. and Giese, B.S. 2012. Historical changes in El Niño and La Niña characteristics in an ocean reanalysis. Journal of Geophysical Research 117: 10.1029/2012JC008031. Reference: Munier, S., Palanisamy, H., Maisongrande, P., Cazenave, A. and Wood, E.F. 2012. Global runoff anomalies over 1993-2009 estimated from coupled Land-Ocean-Atmosphere water budgets and its relation with climate variability. Hydrology and Earth System Sciences 16: 3647-3658. In the concluding words of the research team, “we show that an intensification of the global water cycle due to global warming is not obvious over the last two decades,” which is not exactly what one would expect to be the case during a period of supposedly “unprecedented” over-heating of the planet. Carbon Tax…Are Republicans Really That Stupid? … the authors examine and sort wind technology failures by type and explore their causes in an effort to offer solutions. Will Obama Put Coal out of Business? We conclude by comparing the life cycle impacts of Marcellus gas and U.S. coal: The carbon footprint of Marcellus gas is 53% (80% CI: 44–61%) lower than coal, and its freshwater consumption is about 50% of coal. Link to report: An EPA War on Coal? Link to paper: Is atmospheric carbon dioxide removal a game changer for climate change mitigation? The final selection will be determined by a special SEPP panel. The name of the winner will be emblazoned with names of other winners of the great SEPP trophy – The Jackson – a lump of coal named after the first winner, (former) EPA administrator Lisa P. Jackson. Please submit your nomination to Ken@SEPP.org. April 21, 2013 in Climate News Roundup. AGW, USGCRP, NOAA, EPA and IPCC are dead, as burning and scattered dismembered corpse’s across the field of battle on a bright sunny morning of victory. Simply WOW, what a list. A lot of information to read, as it is 6:30am on a Monday morning here, I am not at my best to digest it all. The gist though appears to be that the whole farce of AGW is beginning to blow up in the faces of those who have perpetuated it at great costs to the taxpayer and the integrity of science in general. I hope that those who have profited from the lies they have continually and brazenly told, lose their jobs as well as inevitably their reputations! The first media acknowledgements of Climate ‘Scientist’ newspeak and the start of the public acknowledgement that the AGW paradigm is falling apart. How fast will the climate lemmings abandon their sinking paradigm? What now: it is hotter or colder in the world? Harald Stein Mart annoyed at his home in “Uckermark – nothing with Dolce Vita! ….But it has become increasingly colder. In Uckermark it had in the winter weeks minus 20 degrees. I spend the winter, when I’m not working, actually only in the sauna. I wanted to be an Italian. Instead, I became a Finn. The second last winter was a record winter in Florida, there were icicles in the UK the lowest temperatures in 30 years. I wrote an article in which I asked the international community to increase the CO ₂ emissions, so I would not freeze to death. Then I was invited by a very nice climate scientist in his institute. He showed me the tables and curves, from which it is clear that it is getting warmer. He said that I was a victim of my subjective ideas. The memory is deceptive. It is believed that it was warm in the infancy of May to September. In reality it was only three days are warm, but at this beautiful three-remember days just particularly intense. The tables of climate scientists, however do not lie. Of course there will be also in the future every now and then a cold winter, the researchers said. One must, if it is minus 20 degrees outside, just make it clear that there would be no global warming even minus 23 or minus 25 degrees. That made sense to me everything. Then it was winter again. I kept thinking, “This is me now as one of the toughest and longest winter of my life, but I’m wrong, that’s just my friggin back subjectivism.” Suddenly, however, I read in the newspaper that some climate scientists have changed their minds. They now say that it is not getting warmer, but colder in Europe anyway. Spare me the reason. What has become of the tables, I now just ask. Two or three years ago, the tables have not yet testified to the contrary. Whether it is getting warmer or getting colder, that’s the climate but the allergrundsätzlichste question, at least that would have a science but can clarify binding. Of each mathematician is required that at least he can tell them apart plus and minus. Imagine that biologists declared tomorrow, they were wrong, the lion was not a predator, but a ruminant. Or the famous physicist would give “command back, water boils at 90 degrees already.” What would get to hear! But the climate scientists are allowed to go through everything. 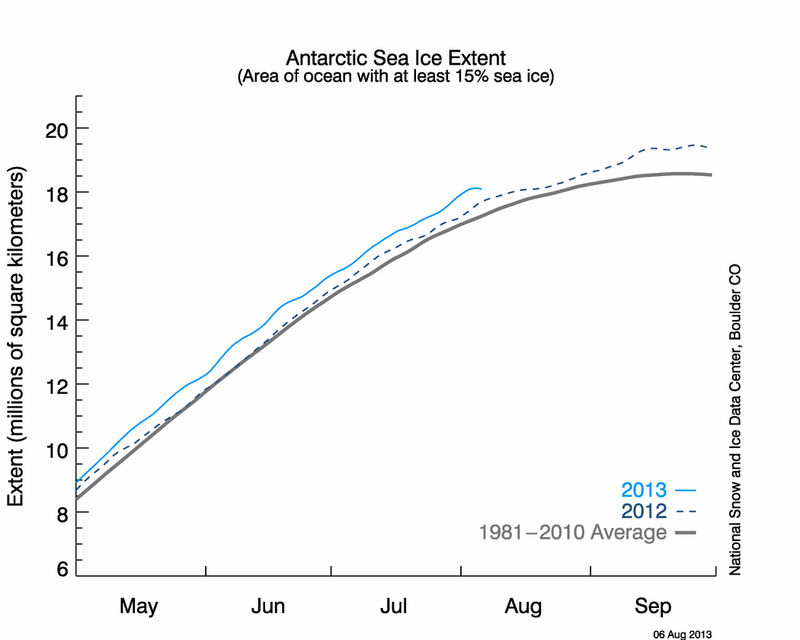 Observation: Sea ice has increased about Antarctica is now (2012 and 2013) higher than normal for every month of the year. Ocean temperatures in the vicinity of Antarctica are colder. Reality is sinking into their bones like a damp February chill. I’ll excuse these illustrious gentlemen but do want to point out it was ENGINEERING accomplishment by definition. The term ‘rocket scientist’, now part of the language, is a misnomer. I guess in the now ‘post-normal’ times psychologists like Lewandowski would be also taking a piece of engineering accomplishement so I’m not complaining too loudly. Willis, now what was that formula again? TransCanada unveiled plans on Tuesday to build a pipeline to ship oil from Canada’s western tar sands to refineries in eastern regions reliant on higher-priced oil imports. The 4,400-kilometer (2,734-mile) “Eastern Oil Pipeline” would be the first connecting producers in the west who are eager to tap into new markets with consumers in Canada’s most-populated cities and industrial heartland in the east. The conduit would be capable of transporting as many as 850,000 barrels of crude oil per day to refineries in Montreal and Quebec City as well as the Atlantic port city of Saint John, New Brunswick, TransCanada said. Those refineries currently process about 600,000 barrels of imported oil per day to meet regional energy needs, paying global market rates for foreign supplies of crude oil. Tar sands output, meanwhile, is heavily discounted because most existing pipelines from landlocked Alberta’s tar sands lead to markets in the United States that are increasingly facing a supply glut. “The Energy East Pipeline could eliminate Canada’s reliance on higher priced crude oil currently being imported,” TransCanada said in a statement. The company said it aims to bring the pipeline online in late 2017, converting an existing 3,000-kilometer (1,864-mile) natural gas pipeline to crude oil service and constructing up to 1,400 kilometers (870 miles) of new pipeline. Three other proposals to bring oil from the tar sands to U.S. Gulf Coast refineries and to two ports on Canada’s Pacific Coast for shipping to Asia face stiff opposition from environmentalists, as well as regulatory delays. If those projects are quashed, an east-west pipeline could become Canada’s last opportunity to open up new markets for its burgeoning oil sands output, which officials say is key to the nation’s future economic prosperity. And with U.S. domestic production rising to levels that are forecast to displace imports by 2020, pressure is mounting. Natural Resources Minister Joe Oliver said the east-west pipeline would address what he called a serious lack of pipeline capacity that is costing the Canadian economy $50 million each day. There are other plans and eventually one of them will succeed. This one makes a lot of sense and doesn’t involve transportation in tankers. That would be a plus because if a tanker has an accident the bitumen sinks. I skimmed the discussion about the NPR piece on wooly mammoth tusks, is interesting. Good one to go back to some time. Typo in the link under The Right Climate Stuff Research Team, Apr 2013. Strip out the trailing period.